Learn how the Rule of 100 can help you plan your retirement future. You've worked hard to prepare for retirement. Now it is time to protect it. When is it a good time to consolidate your retirement accounts into a guaranteed income stream you cannot outlive? The Answer is in this video. There have been countless studies all across the country that conclude the #1 concern when it comes to retirement is RUNNING OUT OF MONEY. In retirement, making sure your income lasts as long as you do is vital. Watch this short video to learn how our certified financial planners can help you design your Retirement Paycheck and come up with a financial plan you will feel good about. In retirement, everyone goes through what we call the Retirement Shift. This is when you are shifting from accumulation planning to distribution planning – and it can become very confusing. Don’t let this happen to you. Watch this quick video to learn more. When planning for your retirement income, there are only three choices to choose from. But what are they? 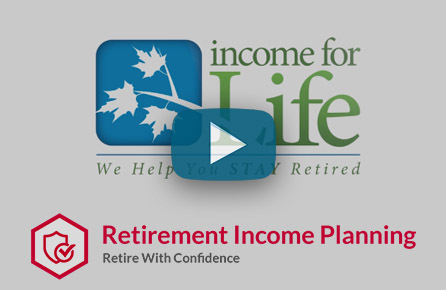 Watch this quick video to learn more about the three choices for retirement income – in plain English with no financial jargon. In retirement, when is the risk worth the reward? The best way to describe this is by using the skateboard mentality. Would you jump on a skateboard, at your current age, if given the chance to do so? Neither would I. Why? Because the risk is not worth the reward. Watch this quick video to learn more. Learn how losses in your retirement portfolio hurt more than gains help. 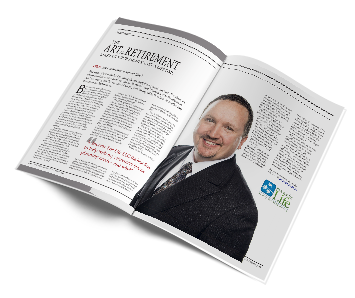 Learn how Life Insurance can be an incredible asset class inside your retirement portfolio. Learn how an Indexed Universal Life policy can accomplish many goals inside your retirement portfolio. No one wants to pay for insurance, but everyone wants what insurance DOES. Think about that statement for a moment and let it sink in. So why is insurance important for retirement income planning? Watch this quick video to learn the facts – they just might shock you. At Income For Life, we are often asked a certain question: ‘What do you do?’ The answer is in this short video. Check it out. With all the marketing bias out there, it is nearly impossible to determine who is right and who is wrong when it comes to proper retirement financial planning – so we decided to do the math for you because numbers do not lie. Grab a pencil & paper, along with a basic calculator, and watch this quick video to learn more.